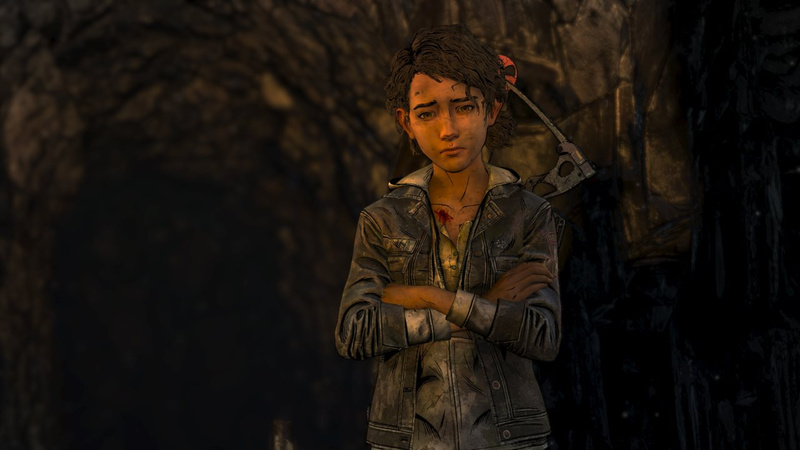 Telltale’s horrific and very public implosion spelled disaster for the end of Clementine’s story. Halfway through the Final Season of The Walking Dead, we all got to witness the plug be unceremoniously pulled, only to have publisher Skybound swoop in and essentially rehire the entire Telltale team working on the final season, allowing the story to have the sendoff it deserves. And that is, thankfully, exactly what we get; the finale Clementine deserves. One of the biggest strengths of the final season has been the small nature of the story. Our heroes aren’t trying to “cure zombieism”. Clem and AJ are trying to find a safe, long-term home. This scope continues in the finale. Things start pretty intense, as the fallout of Episode 3’s finale is wrapped up, but things quickly reduce in scope, as we return to the emotional core of the series; Clementine and AJ. The finale’s two or so hours focus heavily on this relationship, and perhaps even more interestingly, the psychological impact of growing up in a world where constantly killing people is the norm. The way Clementine teaches AJ to survive through the season comes to a head here, mirroring the way Lee teaches Clementine all the way back in the first season. Did you do a good job? Did AJ grow up with a good mentor? Or did you turn him into an actual sociopath? Sometimes this line gets blurred a little bit, as there are multiple instances of AJ going off on rather horrifying megalomaniacal rants about who has the right to choose who lives and dies. This can be at odds with the decisions you make sometimes, but it usually doesn’t go so far as to actually upset the storytelling. 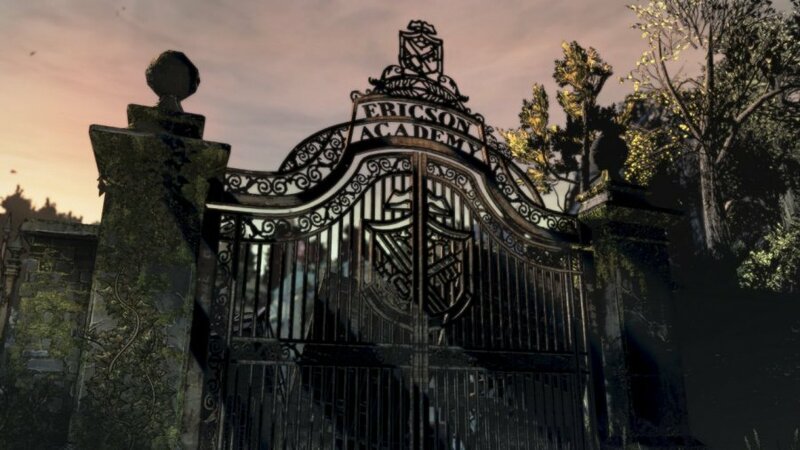 This is unlike one of the mid-episode plot developments taking place on a bridge, as Clem and a few of the other survivors of Ericsson Academy return to the school; a character previously shown as pretty definitively dead shows up to wreak havoc one last time. While admittedly, the impact of this scene sets up some of the best moments in the episode, the actual encounter felt forced and completely pulled us out of the game for a few moments. The scenes following the painfully fabricated bridge encounter prove to be exceptional, however. They're largely a culmination of everything we’ve seen throughout the entire series. What did we learn as we played? Do we remember what Lee taught us? Did we pass it on well? It makes for some incredibly compelling and moving moments that, for the sake of spoilers, we won’t get into. Ultimately though, this is not just a season finale, but a series finale, so how does the episode fare when viewing it as a conclusion? Honestly, quite well. The conclusion is satisfying, offering just enough answers, and doesn’t fall into the trap of spelling absolutely everything out. It’s made very clear the world is going to continue to exist beyond the end of this story. It would have been especially nice to see Lee pop in one last time, but he did show up over the course of the season at least, so that’ll have to suffice. One area where the closing scenes stumble, however, is the inclusion of a bizarre dream sequence. Even beyond being done to death in just about every medium, it doesn’t feel necessary, and if anything it removed us from the run-up to the ending. Outside of those two scenes, the finale largely delivers a satisfying conclusion. Gameplay isn't anything groundbreaking, but when compared to the dark ages of Telltale’s design rut, the fact that there are multiple different and engaging gameplay sequences is incredible. This largely describes the whole season as well. 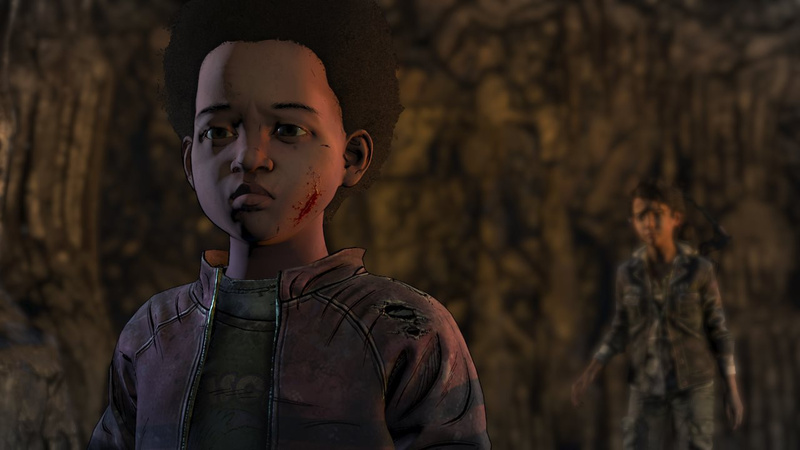 While the changes came too late to save Telltale from itself, The Walking Dead: The Final Season is the best the series has been since the first outing. The newer art style the series adopted as it went along really shines this time out too. The more comic book look serves the plot well, and on multiple occasions the cinematography goes beyond being merely “sufficient” and is downright striking. The ever-reliable music of Jared Emerson Johnson helps the series end its run as well, breaking out Clementine’s theme on several occasions, and even a return of the song from the Season 1 credits, “Take Us Back”, which may sound familiar, as it’s also the name of the final episode. One final parting observation comes towards the very end of the game, where we see a thank you message to the players for playing the game, and ultimately the series. This love letter feels especially impactful given the rough time this game had seeing itself through to a conclusion, and for the sake of the developers, we found ourselves incredibly moved by this little moment. 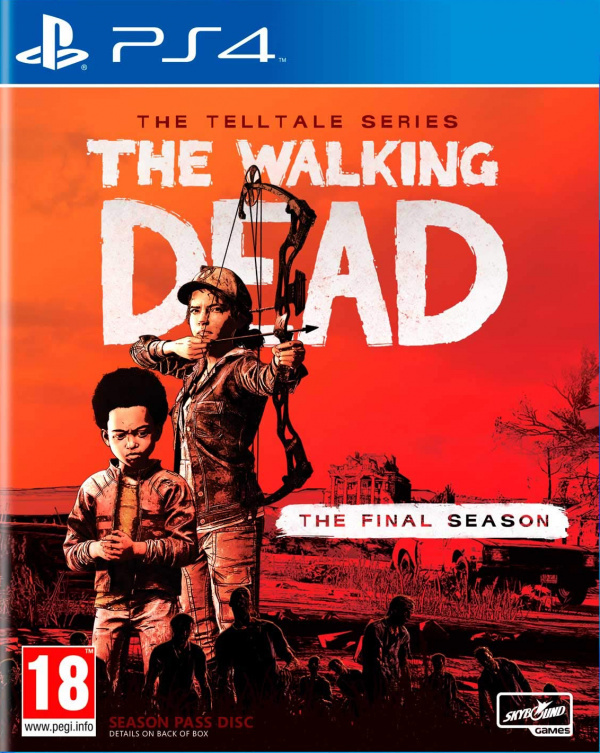 Clementine and AJ’s - and by extension, the player's - story comes to a fitting end here, as the creative efforts of Skybound and Telltale bring the story of the beloved series to its satisfying, largely open-ended conclusion. A plethora of emotional punches, varied and surprisingly engaging gameplay - even if the frame rate chugs - accompany wonderful music and impressive cinematography. Despite a couple of narrative hiccups, with one or two scenes that would have benefitted from some retooling, the conclusion to Telltale’s most beloved series is not just good, it’s satisfying. Such an emotional game and a very fitting farewell not only to the series, but to AJ and Clementine as well. Definitely worth the play if you haven't yet. From an emotional standpoint, it's definitely up there along with season one. Great review, Graham! Suggestion: Perhaps you should not mention on your final comments about its "largely open-ended conclusion" as it could be considered a spoiler. So glad they were able to finish this. Will get it soon. Very good ending. There's one scene in this that devastated me. 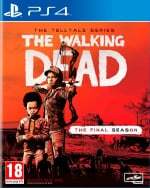 It's a shame what happened to Telltale, because this shows the team still had that storytelling spark that made me fall in love with them back in 2012 with the first Walking Dead. @Boldfoxrd I agree. Robert Kirkman is a God for saving this and giving Clem the ending she deserved! @WillMerfi For what it's worth I meant that more specifically about the greater "Walking Dead" world as opposed to necessarily this specific story, definitely coulda been clearer on that though! @WrightStuff Completely agree as far as the choice functioning as essentially the gameplay haha. If i had to choose one over the other, I'd definitely pick the story being better, but then it becomes an argument about whether it's a game at all for sure. Very true, season 2's branching narrative was vastly more impressive, and I thought season 3 came up with a clever ( though largely unsatisfying) workaround to avoid having to do too much extra development for all the variety. But Skybound seems like they might move forward and continue doing game stuff, so there's hope yet!